Take advantage of the hotel's room service (during limited hours). Mingle with other guests at the complimentary reception, held daily. Wrap up your day with a drink at the bar/lounge. Buffet breakfasts are available daily for a fee. Make yourself at home in one of the 17 individually furnished guestrooms, featuring minibars and LCD televisions. Complimentary wired and wireless Internet access is available. Private bathrooms with showers feature designer toiletries and bidets. Conveniences include safes and desks, and housekeeping is provided daily. 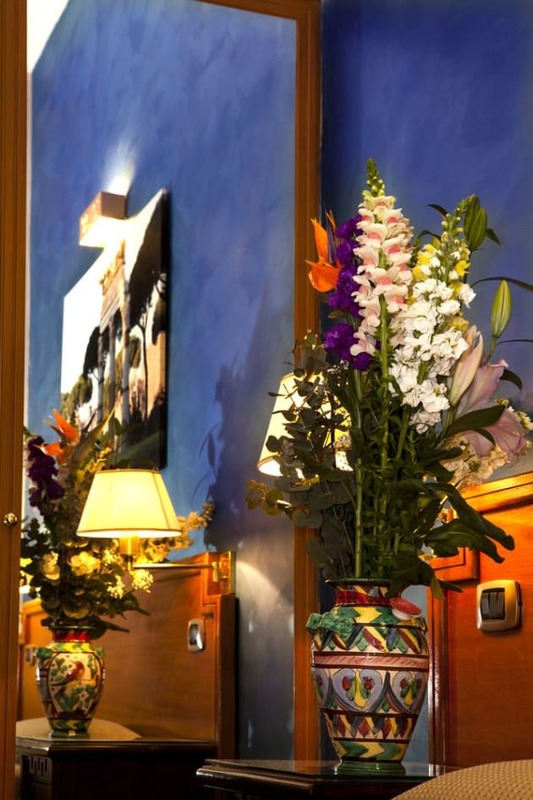 Hotel Priscilla, renovated in 2007, is in the proximity of Via Veneto, in the area where embassies and excellent restaurants have elected their residence. 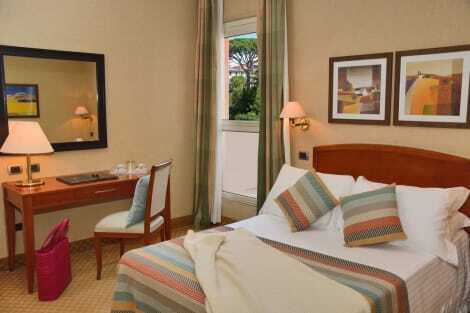 Hotel Priscilla is an ideal starting point for vesting Rome. Whether you decide to walk, take a sightseeing tour, go by public transport or use your own vehicle, Hotel Priscilla is the solution. 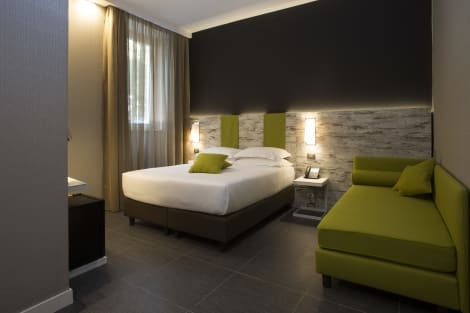 A modern hotel sitting in the heart of Rome, the Smooth Hotel Rome Termini is within walking distance of the city’s main train station, and historic sites like the Porta Pia and Teatro dell’Opera di Roma. During your stay you can relax on the hotel’s terrace, and the reception offers tour, ticket and concierge services. Rooms at the Smooth Hotel Rome Termini are designed in a contemporary style, with air conditioning and private bathrooms as standard. Make yourself at home in one of the 14 air-conditioned rooms featuring minibars and flat-screen televisions. Complimentary wireless Internet access is available to keep you connected. Private bathrooms with bathtubs or showers feature complimentary toiletries and hair dryers. Conveniences include phones, as well as safes and desks.